One of the reasons I travel at my own cost to present workshops at other cities is that I get a chance to meet other software testers. I arrived at Hyderabad on 27th October early morning around 5.30 am IST. The first tester I met in Hyderabad was Raghavendra who received me at the railway station. From there, we went to his room, got ready and left for the venue for the workshop. The experience at the workshop is for a different post. I missed my train and had to stay one more day at Hyderabad. Raghavendra was generous enough to accommodate me in his room for an additional day. His hospitality is definitely commendable - right from food, entertainment facilities, the unlimited energy when asking questions on software testing and so on. Thanks Raghavendra. Raghavendra wanted me to explain my testing approach from scratch. He wanted to know how I test, what tools I use, what bugs I find and so on. Though we were tired after the workshop, we were awake till 11 pm IST discussing about software testing. The TV was on mute and we don't know when we dozed off. The notebooks were filled with lots of notes. Next day, as planned we got up early and I invited Anurag - a budding software tester whom I met online in my Skype training class and also at the workshop on Saturday. We planned to test a product for close to four or five hours and present a test report. 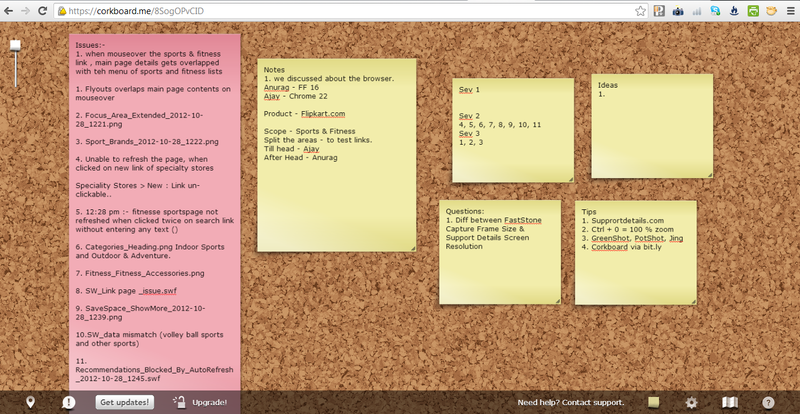 We started at 12.06 pm IST and decided to use corkboard.me to share notes. The application to be tested was 'Flipkart'. We spent the next 45 minutes testing and noting the issues, tests, tips, notes. 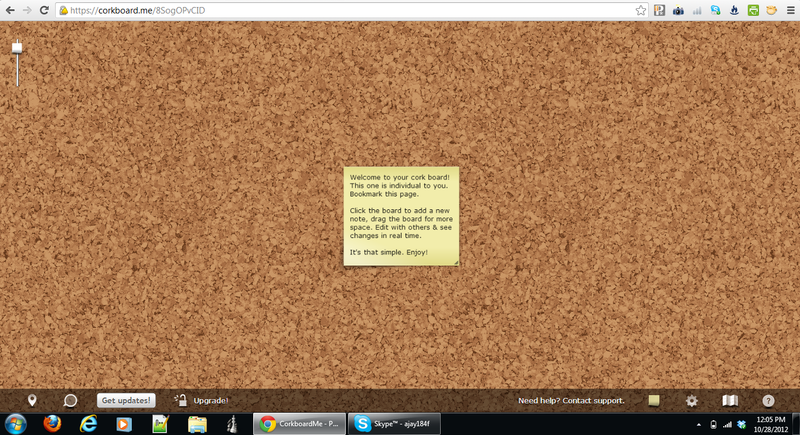 Attached are the corkboard images before and after the 45 minute session. 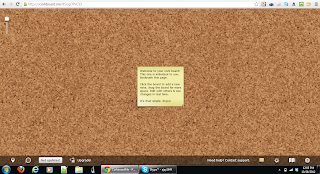 Power Searching With Google - Done!